Since clients are looking for comprehensive, high-quality papers, not just for a friendly interface, it speaks for itself that EduBirdie.com has poor reviews at exactly the product that they are selling. EduBirdie is a platform that offers essay writing services on a wide variety of subjects, from accounting and finance to philosophy or architecture. When school assignments become overwhelming, such a service can help students better manage their workload. But should they choose this particular brand? Does EduBirdie work? Advertising over 200 writers who can complete a task in as little time as 3 hours, the site offers support for students of any academic level, from high school to master’s or doctoral degree. Essays, creative writing, lab reports, speeches or term papers- they have it all. However, it is easy to be deceived by such abundance. In contrast to the way the site presents itself, many Edu Birdie reviews often reveal dissatisfied customers who complain about lack of honesty and poor quality of the papers. The standard EduBirdie price is 23.58 Australian dollars per page – not the cheapest option out there, especially for a student’s budget. More than that, after the EduBirdie sign-up process, it is revealed that the price varies according to the desired deadline. Less time for the assigned writer to do the task means more money from the customer. After filling in the order, the client should be able to select a preferred writer for the paper, as the site advertises on its main page. However, it’s disappointing to see two, maximum three writers to choose from. There is an option of letting the system choose “one of the best writers” for the task, but this costs an extra 13 dollars. All in all, EduBirdie.com is charging a little too much for services that don’t rise up to their promises. The site doesn’t offer any discounts to its clients. Some students in need of constant help could become loyal customers, but the site policy doesn’t encourage them to do so. An advantage is that Edu Birdie accepts corrections from their customers even after the writer has started the task. This way, the students can rest assured that their project is on the right track. AU EduBirdie offers live customer support, 24/7, an online contact form and an e-mail address for any queries. Reviewers are generally pleased with the help they are getting and the politeness of the agents. On the downside, there is no phone number available, so the safety of a more concrete form of communication is lacking. An overwhelming number of reviews reveal poor quality of the papers, including issues such as plagiarizing, not respecting the customer’s demand, not adhering to the topic and overall reduced competence of the writers. The quality might be good for a high-school paper, but the site often fails to deliver more complexity. According to the site itself, yes, it is. 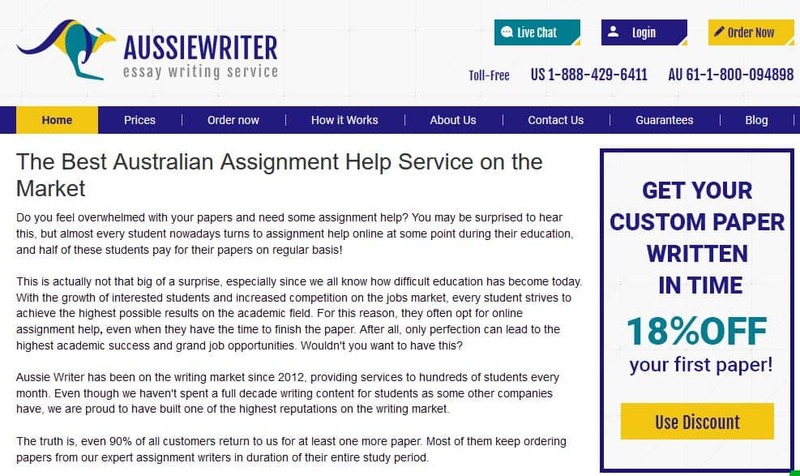 There are no laws against using academic writing services for school assignments. As long as the student’s own conscience is clear about this, there are few problems left. Having a third party complete work that develops skills and knowledge instead of doing it themselves can be a loss, but it’s a call that each must make on their own. It is safe to the extent that it is a legal business offering services in exchange for a fee. Clients receive what they paid for, even though it might not always rise up to expectations of quality and transparency. For example, one EduBirdie review reported that the client did not receive a full refund for an unsatisfactory paper, as agreed. Instead, the company kept 10$ for themselves. Aside from these types of misunderstandings, it should be safe to use their services. All in all, even though it has some advantages such as good customer support and a wide variety of papers, the site’s weaknesses are more salient than its strong points when compared to other similar services. Au-edubirdie is opposite from what a company should be like. True, you can get your papers cheap here and there are many writers who work for them. But the two times I gave them a shot, they failed me. Edubirdie might be cute when you open the website, but they are ugly when you get the paper. Prices cannot go lower so I should have seen that as a sign that they are bad. But I didn’t, so now I am stuck with a paper that is bad beyond repair.